This, and the second part of the dialog between MacArthur and Challies is a forum for Pastor MacArthur to respond to the criticism he received as a result of his Strange Fire conference. I’m going to put my impressions into two blog posts as well (a single blog post would be over 4,000 words) and afterward, there are no more Tim Challies articles for me to read about Strange Fire. It probably won’t be the end of what I have to say about the conflict between sola scriptura Christianity and spiritual Christianity, though. You can follow the links I’ve provided to read the full content of both parts of the interview. I just want to draw attention to some of the highlights, so to speak. Here, MacArthur states that although he believes the continuationists are in serious error, they are still his brothers and sisters in Christ. MacArthur wishes he could affirm this. From his vantage point, this is a movement made up largely of non-Christians that lacks accountability. No one polices this movement. Every faithfully reformed elder, pastor, scholar and teacher of the word should bear the responsibility of policing this movement. People accuse MacArthur of being fixated on this issue, yet in 45 years of ministry he has only held one 3-day conference on this matter. Rather he has devoted his time to preaching the New Testament verse by verse and exalting Christ. Either MacArthur is separating the continuationists he speaks of in part one of the interview from whoever he was discussing on the last day of the conference, or he contradicted himself. You can’t have it both ways. Either the continuationists / Pentecostals / Evangelicals are considered faithful Christians by MacArthur or not. So apparently there is, as far as MacArthur believes, a line to be crossed within the Charismatic movement. On one side of the line, you are a believer, and on the other, having gone too far, you’re not. But hopefully, no one is quite as rigid and uncompromising as we make them out to be during a disagreement. Finally, I think those who accuse me of using too broad of a brush are being naïve about the actual composition of the global charismatic movement. I’m among those who have accused MacArthur and other presenters at the conference of painting with too broad a brush. That’s certainly how I read them on Challies’ blog posts. Of course, these presenters are speaking to a large audience and this is a one-on-one interview, so MacArthur has the opportunity to answer specific questions, when, at the conference, he and the others were “preaching” not discussing. Our decision not to host a debate at the Strange Fire Conference was intentional. Debates are rarely effective in truly helping people think carefully through the issues, since they can easily be reduced to sound bites and talking points. There’s both good and bad in what MacArthur said. It’s true that debates, if not properly moderated, degrade into name calling sessions and nothing gets resolved. On the other hand, during Presidential elections, the opponents present multiple public debates for the purpose of clearly offering American voters a (hopefully) clear understanding of the different platforms of each candidate. MacArthur did not escape these debates entirely. The rebuttals were simply managed in the blogosphere, in social media, and other venues rather than personally at the conference. I don’t doubt that he’s sincere in his belief and desire that he’s doing the right thing and that he’s doing it the right way, and I’m not commenting today to come out as pro-cessationists or pro-continuist. I’m stepping outside the narrow corridor of that argument and trying to understand how MacArthur sees himself and if what he did will have the response he desires. Only MacArthur can explain himself (well, God can explain him too, and probably better than MacArthur can), and I want to hear what he has to say. For the sake of length, I’ll conclude my summation of the Challies Chronicles in Part 2. One detail I missed before is that respected theologians = reform. Maybe I’m missing something. This looks like a follow up to a previous comment. “First, we have to admit that there’s a correct and an incorrect position on this issue. Somebody is right and somebody is wrong…” I’m not so sure about this statement. (disclaimer: I have multiple MacArthur commentaries that I use faithfully. However, I believe his conference is way out of line and does nothing to further the Gospel.) This statement is typical of a western view of paradox – either/or, as opposed to an eastern view of paradox – both/and. Though we do view paradox as either/or, we do take some exceptions: Yeshua, was/is he God or man – Yes! This view of the spiritual gifts is not dissimilar to the 400 year period between Malachi & Matthew. During that timeframe were theologians debating whether or not God still spoke? Or, was God now silent. That, too, can be framed as an either/or, but obviously it was both/and. I’m still not sure why the conference. The pro-cessationists will sit and nod, while the pro-continuists will ignore, and the non-believers will not be not hear the message of the good news. From my point of view, the “heartbreak” plays out a bit differently – it breaks my heart that for two thousand years or so “millions of souls are [have been] caught up” in a Christianized interpretation of Jesus’ teachings. I also see irony in the possibility that those Mr. MacArthur accuses of practicing “strange fire” may be doing so as the result of the non-Jewish interpretation of the New Covenant scriptures based upon the two thousand year old theological Christianized perspective. I think the de-Judaization of the gospel/New Covenant writings is a “problem… a whole lot bigger than anyone realizes.” Once the contour of Hebraic thought implicit in the Gospels/Apostolic Writings was Hellenized/Christianized, all tangential theological potentials were optimized, opening the door to all that is wacky and wierd in the syncretistic universe. Afterall, its Adversus Judaeous tradition, also known as “the teaching of contempt,” was a “strange” tangent all its own and helped pave the way to the antisemitic climate of Christian Europe last century, which resulted in a most awful “strange fire” as relates to the Jewish population of Europe. There is so much breakthrough insight and knowledge in the ongoing Messianic Jewish “reformation” of the New Covenant perspective. I only hope and pray that more and more are positively exposed to the Hebraic orientation, not to become “more Jewish,” but to increase their level of intimacy with their own, personal HaTzaddik, Yeshua, the long-awaited Jewish Messiah. About MacArthur being fixated on this topic. I remember when I was in Bible college nearly 30 years ago, I came in to my room during the day and turned on my radio and MacArthur’s program was on. He was doing a series on speaking in tongues and why it ceased and was no longer proper to do so. I remember sitting at my desk in my dorm room and taking notes on his sermon. I think I still had them up until recently when I started purging some of my papers and guys like him aren’t really high on my list of teachers any more. So yes, it’s been a hot button of his for a long time even though he may not have done conferences on the topic, I’m sure he’s done many teachings/sermons on the topic over the years. He’s never wavered in his belief on this subject. I don’t think he is really interested in hearing what anybody else thinks either. It’s his way or the highway. @Jim: I agree. Many months ago, my Pastor and I had a series of debates on Calvinism vs Arminianism, and I suggested that we take the fork in the road (like Yogi Berra said, “When you come to a fork in the road, take it.”). He didn’t go for it because he’s a western, linear thinking, like most of us, and couldn’t go “meta” to the dynamic. I see no reason why God can’t be sovereign and people still have free will. @Dan: I just started reading First Fruits of Zion’s book Gifts of the Spirit which is a compilation of the presentations at their annual conference last Shavuot at Beth Immanuel Sabbath Fellowship. I was at the conference rapidly taking copious notes, so it will be nice to “relax” and be able to take in the information in an already recorded form. In the first “chapter,” Boaz said he wasn’t initially thrilled when his staff first vetted the topic of “gifts of the spirit” for the conference since he’s never been “Pentecostal,” but he went on to say that there’s a great deal of value in looking at this topic from a Messianic Jewish perspective, something that really hasn’t been attempted before. I think that there is a great hunger for something outside of the stale platitudes of the Protestant church, a desire to experience the world of faith through the eyes, ears, and actions of the apostles. The Gentile Christian Church has stripped away so much of that original Jewish context that all we have left is a shadow of that rich and dynamic world. Believers want more and unfortunately, that makes them vulnerable to any fly-by-night church or congregation where a “Pastor” or “Messianic Rabbi” has a theological ax to grind. They need something solid, based on the Bible and the original world it was written in, not what everyone from the early “Church fathers” to the “Reformationists” have turned it into. This is my heart, my prayer, also. That my warm, loving Christian friends reach out for the opportunity of such intimate insight into the One they so faithfully serve. Yeah, pretty much, Joy. Sad. Having (formerly) been a member of MacArthur’s congregation for many years, I do credit him for having a “softer” side than what most people would gather just by reading things he says from a distance. However, he is a bit more confident on certain difficult issues than (I think) he should be (e.g. on matters of science or eschatology). Regarding Strange Fire, I think one has to respect the difficulties of dealing with an issue such as this. There is a very wide range of thought and activity within the continuist group, and one has to be able to speak about this issue without having to acknowledge this wide range with every comment. There is no “clear line of demarcation” that can be easily stated, so I recognize that this may be a case where you have to just say what you came to say, and let the chips fall — realizing that you might offend people you didn’t wish to offend. Hopefully, you can patch things up afterwards and hope that the constructive work exceeded the damage. Personally, I tend to agree with MacArthur’s cessationist view, although I recall at times thinking that he tried too hard. That is, he would sometime read more into a passage than was really there in order to support some argument against the charismatic view. I would agree with MacArthur that there are many abuses taking place within professing Christian churches, and the majority of those abuses occur among those holding the continuist view. This of course includes most of the televangelists, faith healers, prosperity movement, bizarre worship, etc. It may not be clear from what I’ve written, but I’m not really taking sides in the continuous vs. cessationism argument. I don’t see tons of evidence in our world today of the sort of supernatural activity that was going on in the apostolic era. I strongly dislike prosperity theology (which you don’t see in the apostolic era anyway), and the abuses that are done when people emphasize “feeling” God over reading the Bible. In that sense, I’m probably more “pro-MacArthur” than against. What I’m saying though it’s not what he’s doing or why he’s doing it, it’s the way he’s doing it. If his goal is to get people who currently disagree with him to agree with him, then the process he used to accomplish that goal isn’t going to work. No matter what was going on in his head and heart, people didn’t see that. They heard his words and the words of the other presenters at the conference and generally responded by saying that A: MacArthur is unloving, and B: MacArthur paints all Charismatics as if they are the worst examples of their movement. While phony baloney faith healers, prosperity pastors, televangelists, and bizarre worship practices do their damage, so do overly rigid, dogmatic, (apparently) narrow-visioned, my-way-or-the-highway evangelicals, too. I don’t recall all the responses to this series about MacArthur’s view of “Strange Fire”, but did anyone happen to note that the apostolic writings never hint that prophesy or any other of the spiritual gifts would cease? 1Cor.13:8-12 doesn’t actually mean that, unless one also wishes to suggest an end to knowledge as well, and to assume that something perfect or complete has come into existence to replace the “partial” knowledge provided by spiritual giftings. However, this event would have to have occurred sometime after or concurrent with the supposed closing of the canon, which means that anyone claiming such cessation would be unable also to claim adherence to the doctrine of “sola scriptura”. Both the notions of closing a scriptural canon and of cessation would be post-scriptural events outside the actual content revealed in these scriptures. Further, the word rendered as “perfect”, that is presumed to set aside the “partial”, is “teleion”, which is a term suggesting the end of days or the end of history. The contrast with the notion of unending love that survives even such climactic events merely suggests that spiritual giftings are not to be sought or preferred above love, not that they should disappear altogether (since 1Cor.12:31 had already enjoined the readers to set their hearts on the best or highest or greatest gifts). Indeed, love was presented as the foundation required for the proper functioning of the spiritual gifts. Now, one might possibly criticize Christians in both cessationist and continuist camps when considering their own success or failure at incorporating the advice of 1Cor.13 into their systems. @James, you had a line where MacArthur mentions, “respected theologians,” who are continuists. I assume that he meant reform theologians, as all others are not respectable in his eyes 🙂 Both The House of MacArthur and the House of Brown employ Greek thinking and the false dichotomy. It is either good or bad, A or B, when perhaps it is a mix and neither A nor B.
I was reading a blog post on, “Ancient Paths,” about choosing a teacher by their fruit. Neither side has good fruit. If my choices are arrogant and meanspirited on one side, and ignorant and crazy on the other, which do I choose? How about I choose neither? Understood and agreed (I wasn’t really disagreeing with anything you had said anyway). MacArthur may be more effective by applying some forethought about how he will be perceived. Truth is the payload, but love is the delivery mechanism. @PL: This is where “sola scriptura” folks such as MacArthur fall down, in my opinion. 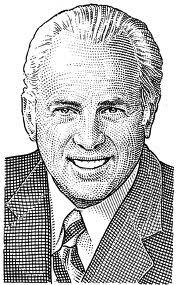 In spite of their “scripture only” stance, the interpretative traditions MacArthur and those like him follow will not let him take the meanings you present into account. @Chaya: Thanks for the clarification. As I mentioned in my comment above, both “camps” have the potential to do great harm. Well, we know that every translation is a commentary. Or put another way, interpretation begins at translation. Agreed. The claimed experiences of charismatics that fail when plcaed under objective scrutiny and also the cessationiists lack of experience of the gifts (in other words it hasn’t happened to me so it clearly can’t happen to anyone else). If the cessationist view conforms to the “sola scriptura” stance – then where is the clear SCRIPTURAL backing to support that view? And if there is no scriptural backing to support that view, then shouldn’t we be seeking God for GENUINE expressions of those gifts (which ARE outlined in scripture) instead of dismissing them because of observed misrepresentation of those gifts? So, I suppose according to JM, we are no longer supposed to, “earnestly desire,” spiritual gifts? Or to ” desire earnestly to prophesy”. @ Onesimus and chaya1957 – I feel motivated to defend John MacArthur a bit (although again, I don’t agree with him on a number of issues). First, JM would never say that “spiritual gifts have ceased”. The cessation stance does not refer to spiritual gifts in general, but to those specific “miraculous” gifts such as speaking in tongues and healing. For that matter, I don’t think JM would say that the granting of miraculous gifts are impossible for God, even today. And yet, there appears to be observational evidence that such miraculous gifts are not genuinely being practiced today in the same sense that they were described in the days of the apostles. Do we see Christians going about and performing *genuine* miraculous healings today? I don’t think so. If they are, it’s certainly on a very small scale. This should be surprising since there are surely many more followers of Christ today than there were then. But if such healings aren’t happening today, they why not? I think JM has provided his reasons for why they aren’t happening today, and he is “doing battle” against the practice of non-genuine gifts and against the teaching that we should be seeking and claiming miraculous gifts. He does so because he believes these things are harmful to the church, and I think he is right about that. Now, there may be not be any scripture foretelling that the miraculous gifts would cease, but IMO that is not a strong argument against cessation. If a prophet foretells some event, we can be assured that it will happen. However, if an event is not foretold, does it mean that it won’t happen? All spiritual gifts are given by God to whom He desires for His purposes. It’s not our place to seek or expect gifts beyond what He has granted. Apart from the assumption that they aren’t happening anywhere at any time, a lack of healings could partly be due to the fact that people are being taught (and convinced) that healing gifts are no longer valid. Also in the west we are more likely to trust a doctor more than we trust God when health is concerned. On the contrary it is a solid argument against cessationism since there is ample biblical teaching about the reality of spiritual gifts and none about the alleged removal of those gifts. It all depends on whether we truly base our understanding of spiritual matters on scripture or on experience. It seems that many interpret scripture according to their experience (even to the extent of changing the clear meaning of scripture) instead of expecting their experience to be conformed to what scripture reveals. Even when scripture instructs us to seek those gifts that scripture tells us HAVE been granted? Also, they have been granted to the body of believers by the Holy Spirit, to make the body functional as a whole, each part having its role in ministering to the rest of the body. But if the body of believers isn’t operating in a scriptural manner, it shouldn’t be surprising that evidence of the gifts seems absent. Will the Holy Spirit give them within a context foreign to their intended purpose? 1 Corinthians 12-14 is the most detailed section of scripture dealing with Spiritual gifts. That section of scripture also reveals a lot about how believers should conduct themselves when meeting in fellowship (which includes the use of gifts). However that biblical demonstration of fellowship is far different from the practice today. That’s not really my assumption. Note that I said: “I don’t think JM would say that the granting of miraculous gifts are impossible for God, even today”. I cannot assert that they aren’t now happening anywhere at any time. However, if someone today genuinely has the gift of healing, I am unaware of them. I don’t think there is a shortage of people who believe that healing gifts are still valid. Look at all the folks who have flocked to the likes of Benny Hinn, Peter Popoff, Oral Roberts, Ernest Angely, Kathryn Kuhlman, Aimee McPherson, Kenneth Copeland, Robert Tilton, etc, etc. Personally, I think they are all frauds (either by intention or delusion). The fact that they have and continue to exist and prosper in the Christian community shows that religious people — even those who profess Christ — are vulnerable to self-delusion. I think there is something to be learned from this. Well, remember that we are not discussing whether God might heal someone. We are discussing whether God still appoints individuals to have the miraculous gift of healing. Even cessationists will call upon God for healing. However, if I come down with pneumonia, I will see a doctor, and I certainly will not seek a faith healer. I do not see this as a lack of faith in God. In fact, the advances in medicine are among God’s blessings, and something to be thankful for. I am not doubting that spiritual gifts are real. However, they are granted by God solely for His purposes, and not based on our desire to have them. From this, it is possible that if the miraculous gifts are no longer serving God’s purposes, then they would cease. It has always been extremely rare for people to be granted miracluous powers. They have been granted by God at various times to authenticate the message of the person (e.g. Moses, Elijah, the apostles). When the message has been delivered, the miracles stop. Might not the miraculous gifts likewise cease now that the message of the gospel has been delivered? Much has to do with the meaning of “when the perfect comes” and whether it pertains only to the ceasing of partial knowledge and partial prophecy, or to other gifts as well. Note that I said we should not “seek or expect gifts **beyond** what He has granted”. I believe that Paul’s teaching in 1 Cor 12 is primarily to address some wrong views about spiritual gifts that existed in the church at Corinth. Specifically, the views that some gifts were more honorable than others, and that the gifts we receive are based on our desires to have them. Today, especially within the charismatic movement, I sense the same sort of incorrect views are often taught. I can’t believe that any serious biblical scholar would equate, “that which is perfect,” as the canon of the New Testament,(KJV 1611 of course 🙂 We need to recognize that we do know in part and prophesy or employ any spiritual gift in part. When we are in a place of no sickness, there will be no need for healing, and when we have full knowledge, there will certainly be no need for partial knowledge. But we are still urged to earnestly desire spiritual gifts, especially to prophesy. The purpose of spiritual gifts is ministry to others, not $$$$$ or anything else smacking of personal gain. I actually agree with you there. I think that the event in which “the perfect comes” is best understood as the coming of the kingdom of God. However, I think there is room for debate regarding exactly what things are “partial”. Verse 9 identifies only “what we know” and “what we prophecy” as being partial. This makes sense. Certainly, partial knowledge and prophecy will “be done away” when the fullness of knowledge is revealed in the kingdom. The question is this: When Paul said “when the perfect comes the partial will be done away”, does that include the gift of tongues which was *not* specifically identified as being partial? It’s an important question because If the “partial things” do not include tongues, then Paul’s earlier statement that “tongues will cease” may not be connected to the coming of the kingdom. That is, he may be allowing that the gift of tongues could cease before then. It’s perfectly clear that knowledge and prophecy are partial. It’s not quite so clear how the gift of tongues could be partial. I think Paul didn’t identify tongues as partial because it’s not a “partial gift”. Another interesting point: In verse 8, Paul says that prophecy and knowledge shall be “done away”, using a word that means “nullified” or “made inactive”. Of tongues, he says they will “cease”, using a different word that means “stop”. This too may suggest that the ceasing of tongues may be a separate event, not related to the nullification of partial things in the kingdom. Of course, I agree with your comments concerning the proper purpose of the gifts. I assume that you recognize that sometimes these (alleged) gifts are used by people for personal gain. Considering that 1 Cor 13 speaks of tongues ceasing within a context, that context should be considered. The main point of the context is the greater importance and the lasting quality of love. It is not spelling out or suggesting a timetable for the withdrawal of gifts. The fact that countless people NOT caught up in charismanic excess are currently experiencing and using the gift of tongues, and the fact that scripture does not speak of any imminent withdrawal of the gift that would make it invalid soon after Paul wrote of its use, I have more than enough evidence that the gift is still needed (and used) today, despite the fact of clear charismanic error that has led many astray, and despite the claims of cessationists. HI Jerry, you said: “Today, especially within the charismatic movement, I sense the same sort of incorrect views are often taught”. Maybe a big problem with this issue is that it too often centres on “the charismatic movement” and its errors and using that as exhibit one in the case supporting cessationism. I have no personal interest in a “charismatic movement” or “Pentecostal movement” – neither of which are cohesive “movements” – and so my views on Spiritual gifts aren’t affected by whatever excesses and errors they may be guilty of. My approach to Spiritual gifts is focused on what scripture says, and to date I have seen absolutely no scriptural evidence that God has withdrawn any of the gifts He has given to the body for the building up of the body. The suggestion that “the perfect” has come (ref to 1 Cor 13:10) and therefore gifts have been withdrawn just doesn’t fit with any biblical portrayal of what is “perfect”, and I can’t see that today’s church displays any less need for building up than at any other time in history, so there’s no less need for any of the gifts that are intended for that building up. One of my personal views is that the biblical application of spiritual gifts in their intended context is a threat to church tradition and a threat to the “authority” of church leadership. This threat applies to both cessationist and charismatic camps. The former tries to avert the threat by dismissing the validity of the gifts, the latter by restricting the practice of the gifts to an allegedly “anointed” elite who are often more showmen than men of God. You say that you can’t see a shortage of people who believe the healing gifts are still valid and point to those who flock to claimed faith healers. I would draw attention again to the phrase I used above: “more showmen then men of God”. Are those people really trusting God for healing or are they trusting the alleged faith healers? Does scripture tell us that healing gifts are displayed in large gatherings presided over by a celebrity healer? You also say: “. We are discussing whether God still appoints individuals to have the miraculous gift of healing” – maybe this is where there is some kind of misconception. To me the discussion is whether there is a continuing and genuine gift of healing available to the body of Christ. It’s not about individuals being given gifts to use at will. The gifts are gifts of the Spirit to be used in a particular context for the building up of the body of Christ as long as there is a need for those gifts. As long as there is sickness, there will be a need for healing. How many of us can honestly say we have the trust in God to take such commands at face value when we have so many other options available? What would we do if we had no doctor available? * (I understand the elders referred to here are far different to expression of “ordained” church leadership in modern churches today – but that’s a different issue). Since this is obviously a topic of continued interest, I just want to remind everyone that yesterdays blog post addressed the gifts of the spirit, as will tomorrow’s (Wednesday’s) morning meditation. Be sure to stop by and comment.